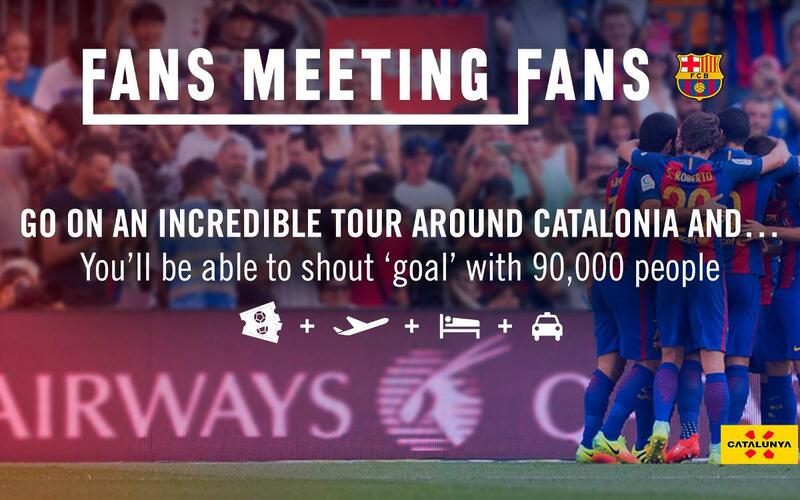 The Catalonia Tourist Board and FC Barcelona are launching a campaign in which they are giving away a guided tour of Catalonia, as well as two tickets to the league match between Barça and Málaga on 19 November. This joint action will be promoted globally, excluding Spain, with the aim of attracting foreigners to Catalonia. The lucky winners will have the chance to enjoy a unique experience, getting to know the culture, tradition and cuisine of different parts of the region in four days, as well as taking in the atmosphere of a Barça match.